Hong Kong is well known for its colorful array of shopping destinations and this post will showcase some of the most quirky ones in the country. Located near Mong Kok East MTR Station, Flower Market Road (花墟道) is a street market with lots of flower shops and street hawkers showing colorful displays, the sweet scents and the exotic blossoms of many houseplants. Besides flowers, you will also be able to buy all sorts of gardening accessories here e.g. pots, fertilisers. 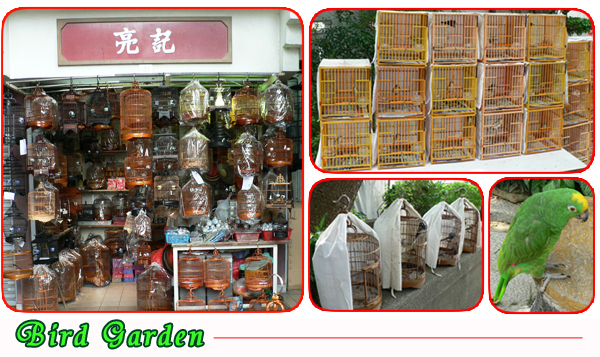 The Bird Garden or Bird Street (雀仔街) is located further down the road along Flower Market Street. It is hard to miss – there is a huge mural of birds at its entrance and the high-pitched tunes of songbirds can be heard from a distance. 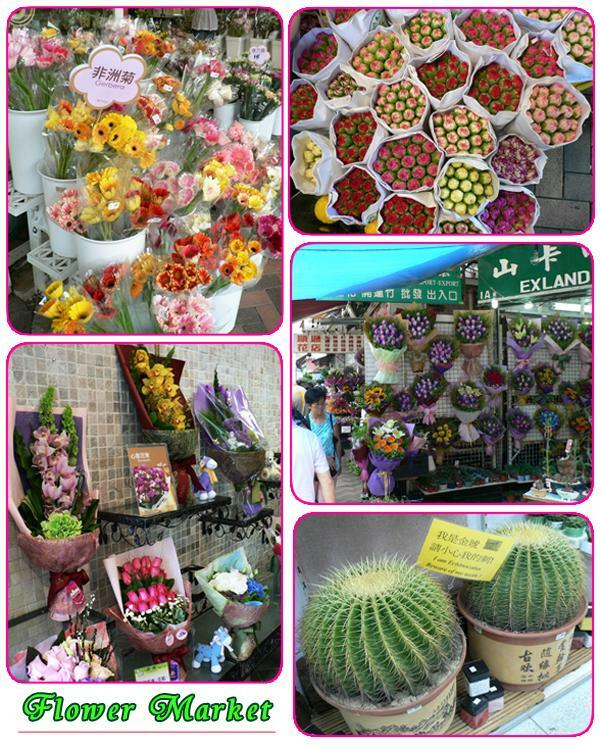 Similar to the Flower Market, besides different bird species, you will also find many accessories e.g. bird cages, feed here. The Goldfish Market is another interesting street where Hong Kong-ers go to for all aquarium equipment and fish. There are many shops and hawkers selling various tropical freshwater or marine fish (not just goldfish). Besides fish, this street is also home to a number of pet shops. 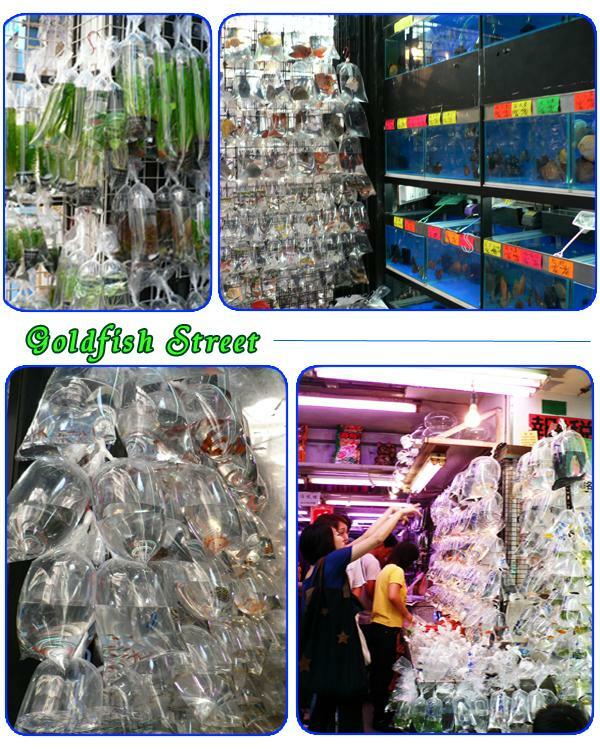 Just look out for the variety of plastic “balloons” of fishes and you know you are at Goldfish Street. .-= Medo Joe´s last blog ..Bird Cages | Small | Large | Wooden Bird Cages =-. Just desired to say that you have some amazing content on your blog. If it’s OK I would like to use some of the information you supplied on my website. If I link back again to your website would it be OK to do so? wow, well written about hongkong i really appreciate with this text thanks for shearing this beautiful article. Flowers are very stunning to the eyes and the place Hong Kong is a unique city and there are plenty of interesting facts about Hong Kong. Hong Kong’s official name is the tongue twisting Hong Kong Special Administrative Region, or Hong Kong SAR. I missed this when I was in Hong Kong, glad to know exactly where it is now – and worthy of a look, thanks!